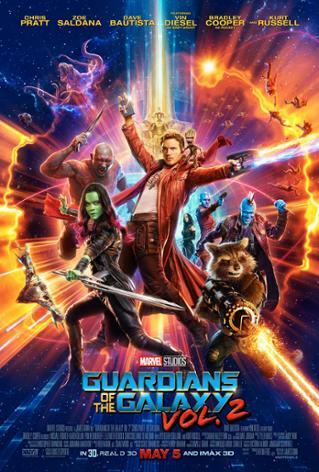 The first Guardians of the Galaxy movie was an amazing fun romp that exceeded a lot of expectations. It was a hit comic book movie based on a lesser known comic book title that managed to captivate audiences and put a lot a lot of pressure on DC to make their movies appear more fun and hip (think Suicide Squad). Guardians of the Galaxy Vol. 2 is the inevitable sequel to the 2014 hit movie that tried to push things to a new level. The first movie was naturally an origin story that had to focus on introducing us to the various members of the team. This sequel is the natural effort to make the most of all these characters and find a path forward for them. As much as people often describe the Guardians movies as sort of being like The Avengers in space. But the Avengers was the joining of many characters whose back stories were first established in solo movies focused on those characters. The Guardians started as a team and will always have to be a team since there's only so much time to divide between everyone in each movie. And I think this film certainly felt the squeeze. Synopsis: Guardians of the Galaxy Vol. 2 is the 2017 science fiction action adventure sequel to the 2014 movie. Like the first movie, it was both written and directed by James Gunn. Not too long after the events of the first movie, the titular Guardians of the Galaxy have taken on a job to protect the living batteries of The Sovereign from an inter-dimensional monster. They succeed in the job and as their reward they claim Nebula (Karen Gillan), the sister of Gamora (Zoe Saldana). But they manage to get the Sovereign mad at them and find themselves being pursued by Sovereign forces as they leave the system. But their escape is aided by an unexpected stranger. As revealed in the trailer, this turns out to be a man claiming to be the father of Peter Quill (Chris Pratt). His name is Ego (Kurt Russell) and he is accompanied by the empath Mantis (Pom Klementieff) and he asks Peter for a chance to be the father that he never was for all the years he was searching for him. Meanwhile the Sovereign try to figure out how to get revenge on the Guardians. What I Liked: The folks behind the movie clearly had a lot of fun making this movie and a number of aspects of the movie felt like a lot of great fan service. Drax (Dave Bautista) became a major point of comedic one-liners nearly to the point of ridiculousness. Baby Groot (Vin Diesel) was milked for all the cuteness he was worth including characters making reference to his appeal as part of the dialog. And the 5 bonus scenes inserted into the credits were all a lot of fun. The movie also found a way to bring in quirky concepts into the game like Ego the Living Planet, Mantis (a member of the team in the comics) and even in looping Nebula back into the story. We still had wall-to-wall music and a lot of good jobs for all the characters. In terms of character moments, I think Rocket (Bradley Cooper) had the best Moment of Awesome as it were, a confrontation that was heavily promoted in the trailers. What Could Have Been Better: The movie felt like it was aggressively trying to flesh out the characters of practically everyone in the cast. Add in the fact that the likes of Nebula and Yondu (Michael Rooker) were pretty much added to the team and there's only so much that can get done even in a 2+ hour movie. Sure, almost everyone's arcs were mostly tied to the concept of family and its importance but that still involved a lot of parallel scenes that maybe we didn't quite need. You can't help but feel that James Gunn was trying just a wee bit too hard to please us or repeat all the things that worked well in the first movie. The overall plot was interesting but not always compelling or sometimes even a little shallow. Maybe there were too many moving pieces. Maybe Ego wasn't always interesting. Maybe we should have found a way to unite Ego and Peter sooner than we did in the movie. 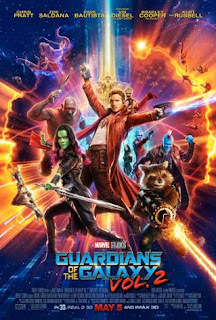 These are somewhat minor quibbles but on the whole it felt like the movie's plot got just a bit too complicated for it to be fully fun at all times and some characters (particularly Drax) felt too one note. TL;DR: Guardians of the Galaxy Vol. 2 is still a good follow-up to the first movie but it's not quite as great as that first movie. The movie just had too many things it wanted to tackle at once and that limited the time left to end things well and so it didn't land quite perfectly at the end. Thus the movie gets a good 4 Sovereign pod ships out of a possible 5. PS: I wrote this review doing my best not to look at this story as the huge comic book geek that I am. But for someone who followed the original Guardians as they were formed during the events of Annihilation: Conquest, there were a lot of moments that just felt odd to me. Drax joking all the time was getting weird and annoying since his comic book character was always more brooding and largely silent. Mantis is meant to be the Celestial Madonna and had both telepathy and kickass martial arts skills, making her confident to the point of arrogance. Instead we got this weird doe-eyed thing who only had minor empathy abilities. So I guess it's just as well that another Guardians movie has gone by and I did not get a true Cosmo the Space Dog. GEEK DISAPPOINTMENT. I just remind myself that like all other movies that form the Marvel Cinematic Universe of movies are not directly related to their comic book counterparts. Then I get to breathe a little.